Published on August 12, 2018 in General T&T, PNM, Police and Politics. 13 Comments Tags: COP, Gary Griffith, Selwyn R. Cudjoe, T&T Govt. My first impulse was to congratulate the government for voting to appoint Gary Griffith Commissioner of Police (CoP). Whatever Griffith’s weaknesses, his appointment promised to give the police force the stability it deserves and the country the space it needs to breathe easier; that is, until Stuart Young, “Ad-minister of everything but master of nothing,” was recycled into the Ministry of National Security. Without even being confirmed, Griffith hit the airways telling the population what he would and would not do although prudence dictated that he meet with the leadership of the police force, learn from their experiences, and tell them of his plans to make the force a more efficient unit. After such discussions, he could have determined how best to attack the monster called crime. Published on October 19, 2017 in Crime in T&T, General T&T, PNM, Politics, UNC and Violence. 10 Comments Tags: COP, Police Service Commission, Politics, Raffique Shah, T&T Govt. The last hope we have for reining in runaway crime in this country lies with a leader yet unknown, the man or woman who will be recommended by the Police Service Commission to be named Commissioner of Police, subject to approval by Parliament. In fact, since crime affects so many aspects of citizens’ daily lives as well as the country’s economy, and because the Police Service is, or ought to be, the spearhead of any assault on crime, the new commissioner will carry on his shoulders a burden bigger than Government’s, and greater expectations than any other office-holder in the State-apparatus—the President, the Prime Minister or the Chief Justice. 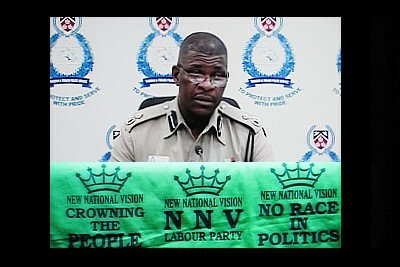 Published on May 15, 2010 in Crime in T&T, Elections, General T&T, Law, Media, PNM, Politics, UNC, Videos and Violence. 10 Comments Tags: COP, Crime in T&T, James Philbert, Kamla Persad-Bissessar, Politics, T&T Govt, trinidad police. THERE are persons who have been hatching a plot to violently disrupt the general election, according to acting Police Commissioner James Philbert. Published on March 28, 2010 in COP, Drug Trade, General T&T, PNM and Politics. 8 Comments Tags: COP, Kamla Persad-Bissessar, Patrick Manning, Politics, Raffique Shah, T&T Govt, UNC. Lest I am accused of consorting with the ‘drugs mafia’, or worse, being a drug lord posturing as a journalist, I need to be very careful how I couch my words in this column. With Prime Minister Manning on the warpath against enemies more imagined than real, the last I want is police swooping down on me, looking for ‘crack’ cocaine. Published on February 2, 2010 in COP, General T&T, Politics and UNC. 6 Comments Tags: Basdeo Panday, COP, Jack Warner, Kamla Persad-Bissessar, Politics, UNC. UNC Political Leader Kamla Persad-Bissessar has proposed the establishment of a committee to work out the modalities and framework for the holding of ‘unity’ discussions with stakeholders and political organisations opposed to the ‘maladministration of Patrick Manning’.